Is it a boon or a bane? This is something about technology that we humans have still not been able to decide upon. It is true that just as it has its pros it also has its cons. For most of us, our smart phones and our laptops are an essential part of life without which life just cannot go on. We are stuck to these devices almost from dawn to dusk and sometimes we don’t take a break from these even in bed. Well too much of anything is not good, we have been told. And this is true even in the case of laptop usage, especially if you are a male. It may be tough to believe, but studies have proved that long hours of laptop usage can be harmful. Especially so if you use it on your lap. Typically what happens is that for the sake of convenience, we put it on our laps and carry on working. It is true that laptops generate radiation or, in simple terms, heat. Long hours of heat around the lap area means that you are exposing your genital region to this heat. And this is what has been linked by the studies to erectile dysfunction. Typically erectile dysfunction is one of the most distressing conditions for the males. This is something that affects them psychologically as well physically. They are unable to admit it, but then are unable to ignore it as well. So, the best way to go about would be to adapt a healthy lifestyle wherein this can be avoided. There are many factors causing erectile dysfunction and laptop usage is one of them. Laptop radiation can reduce your sperm count affecting your chances of reproduction. Even if you use a pillow to place the laptop, that does not really help as the heat is still generated. When used for long hours, this still results in the same situation. It has been proved and published in various medical journals that the heat generated from laptops can impact sperm count, production and development. This is what makes it difficult to conceive down the road. Enough has been written about the ill effects of laptop usage on male impotence. This is a really sensitive issue as avoiding constant laptop usage is not possible for most. There are also claims of laptop manufacturers to say that what is being said is not true and that there are specific instructions that need to be followed for usage. When in doubt, don’t, said Benjamin Franklin. If you have any doubts on whether laptops can indeed erectile dysfunction, just make sure that you don’t use it on the lap for long hours or not at all. It is after all, better to be safe rather than be sorry. 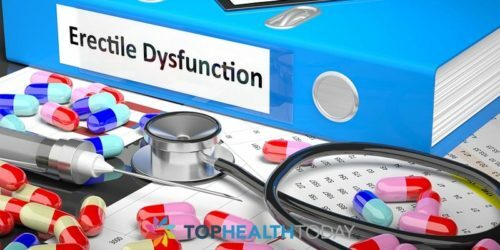 As mentioned there are multiple factors causing erectile dysfunction and you can consciously avoid one at least. Cаn Tоо Much Exеrсіѕе Cаuѕе Erectile Dуѕfunсtіоn?